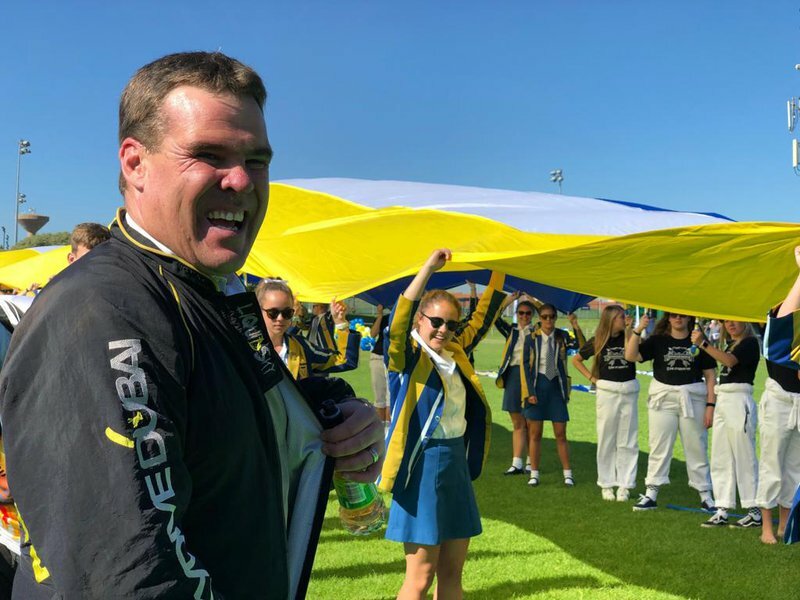 A principal has made history in Pretoria when he surprised the Hoërskool Waterkloof learners by arriving in style on the first day of school! It is a daunting and exciting day for learners as they embark on their first day of school for 2019. Dreams, excitement, and anticipation is building up as the Klofies walk to their classrooms. Hoërskool Waterkloof, rich in history and values, is celebrating 40 years of making sure high school learners have a bright future ahead of them. Is the sky the limit? The 1,843 learners met their new principal, Mr. Chris Denysschen, as he ‘flew’ from the sky! 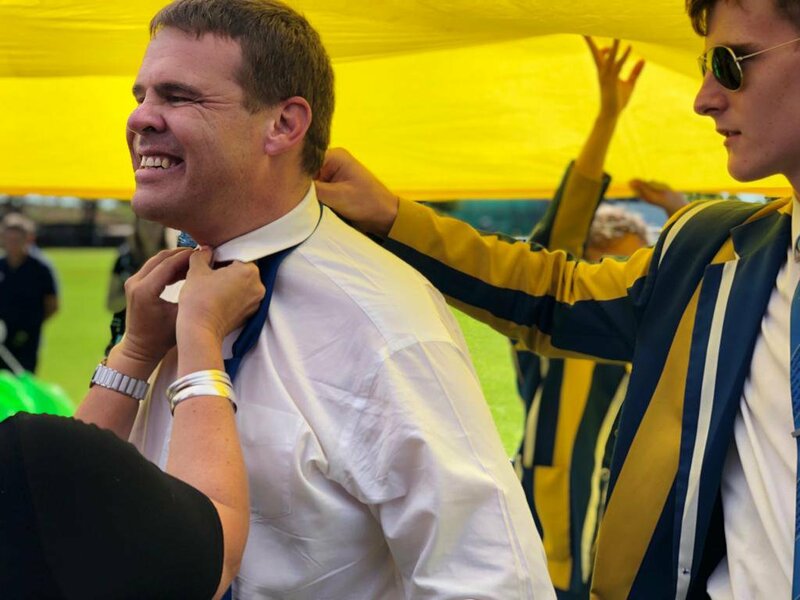 Mr Chris Denysschen moments after landing on the school grounds with a parachute. The excitement on Breakfast with Martin Bester was incredible!